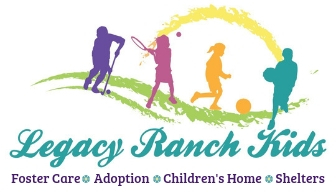 Relationships are key in making Legacy Ranch a reality and finding children families! Who do you know that is in construction, a church or networking association that we can invite to partner with us? If you are a member of a church or group then you can be FamilyLink’s liaison and help spread the word to your circle of influence. An easy way is to invite them to be part of this group – Champions for Children. Listen to Life Matters! To learn more and be inspired. The creators and builders who realize the dream – Legacy Ranch. This will be those in the construction business themselves, or who are interested in networking with the building industry and helping create the homes and community center at Legacy Ranch! They will be building homes that will keep sibling groups from being separated, help pregnant teens and young mothers break the cycle of abuse, and stop elderly abuse/neglect with our grandparents’ home. Each generation will minister to the other! Church Connectors are the liaisons between FamilyLink and churches. They ensure material is present, videos are aired at the church, and schedule FamilyLink presentations to share the need for emergency foster families, mentors, retreat day volunteers and more! We also share the great news that adoption is free and there is free college and insurance! For every child we believe there is a family, and this is a great way to find their new family! This group will take FamilyLink’s mission into the community by submitting information to networks, print, radio and TV media, publicizing events, Life Matters! With Mariah Radio show and growing FamilyLink’s media connections. We need advocates and a presence in associations to carry the message into the community. Appointments will be made for FamilyLink presentations and connections to resources for fundraising purposes. Our networking team will help Family Link be the recipient of funds raised during Golf Tournaments, 5K runs and other community events. Retreat days provide foster and adoptive parents the opportunity to learn from each other, have additional training, and for the whole family to be supported and have fun! Volunteers have the opportunity to love on the children and see firsthand what foster care and adoption is all about. Retreat coordinators manage the details of each retreat, from orienting new volunteers to planning activities and garnering donations for the monthly event.